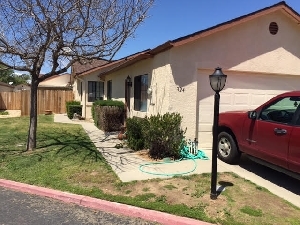 Description: Nice 2 bedroom, 2 bath house located in Nipomo, California. Single level floor plan with an attached garage, fenced backyard, w/d hookups in garage, and forced air heating. Tenant pays for all amenities such as trash, water, electricity, and gas. Small pets considered. Available August 15th, 2018. $1,600/month rent with a $1,600 security deposit.